The Standard Model is the mainstream theory of all the fundamental particles that make up matter, and the forces that govern them. But the model has weaknesses: it doesn't explain dark matter or dark energy, which jointly make up 95 percent of the universe. Nor is it compatible with Einstein's theory of general relativity the force of gravity as we know it does not seem to work at the subatomic quantum scale. However, in a new blow for the futuristic "supersymmetry" theory of the universe's basic anatomy, experts reported fresh evidence Monday of subatomic activity consistent with the mainstream Standard Model of particle physics. New data from ultra high-speed proton collisions at Europe's Large Hadron Collider (LHC) showed an exotic particle dubbed the "beauty quark" behaves as predicted by the Standard Model, said a paper in the journal Nature Physics. Previous attempts at measuring the beauty quark's rare transformation into a so-called "up quark" had yielded conflicting results. That prompted scientists to propose an explanation beyond the Standard Model possibly supersymmetry. But the latest observations were "entirely consistent with the Standard Model and removes the need for this hypothesis" of an alternative theory, Guy Wilkinson, leader of LHC's "beauty experiment" told AFP. "It would of course have been very exciting if we could show that there was something wrong with the Standard Model I cannot deny that would have been sensational," he said. Supersymmetry, SUSY for short, is one of the alternatives proposed for explaining these inconsistencies, postulating the existence of a heavier "sibling" for every particle in the universe. This may also explain dark matter and dark energy. But no proof of supersymmetric twins has been found at the LHC, which has observed all the particles postulated by the Standard Model including the long-sought Higgs boson, which confers mass to matter. Wilkinson said "It is very difficult to kill supersymmetry: it is a many-headed monster." But "if nothing is seen in the next couple of years, supersymmetry would be in a much harder situation. The number of true believers would drop." There are six types of quarks the most common are the "up" and "down" quarks, while the others are called "charm", "strange", "beauty" and "top." Much more rarely, it morphs into an up quark. Wilkinson's team have now measured for the first time how often that happens. "We are delighted because it is the sort of measurement nobody thought was possible at the LHC," he said. It had been thought that an even more powerful machine would be needed. 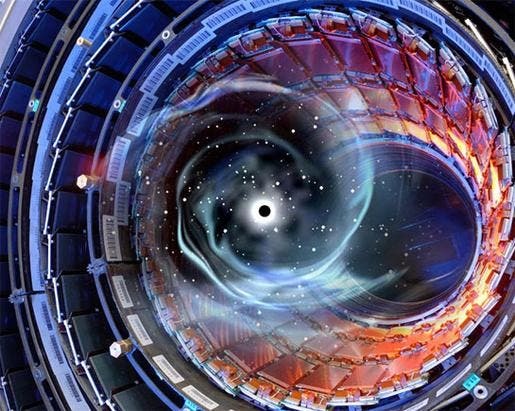 "If you expect Earth-shattering news from the new run, it's a bit early," CERN director-general Rolf Heuer told journalists in Vienna Monday at a conference of the European Physical Society. "The main harvest will come in the years to come, so you have to stay tuned." So far, the new run at 13 TeV has re-detected all the Standard Model particles except for the Higgs boson, but Heuer insisted: "We are sure that it is there." "Phantom Dark Energy" –Will It Cause the Universe to End in a Big Rip?